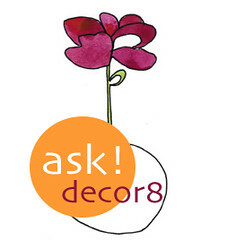 ask decor8: College Bound Bedding? decor8 reader Kaitlin needs some bedding tips, "I stumbled across your blog a few weeks ago, and I must say that I love it. You always manage to find the most beautiful, amazing things, and it takes me quite a bit of self-control not to empty out my bank account when I read each post. I was wondering if you might be able to recommend some good stores (preferably online) where I can find bedding. I'm off to college in a few weeks, and I've not been able to find anything that I truly love. Thank you so much for your time, and keep up the excellent work!" 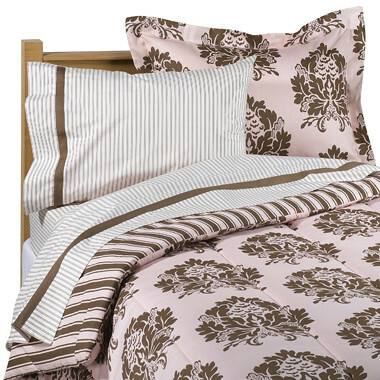 Delia's is totally chic and college bound with lots of pretty bedding. 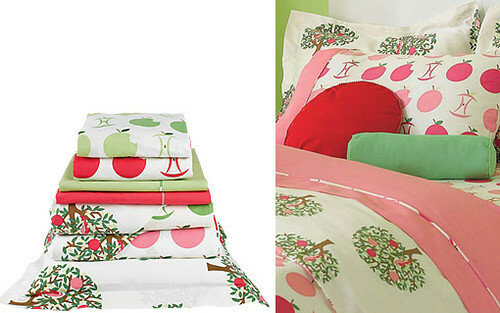 My favorite is their Apple Tree bedding. It's juicy! 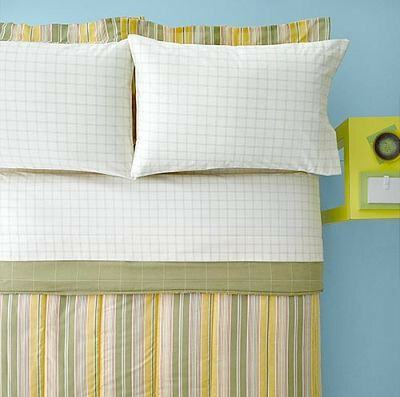 Martha Stewart Beach Stripe bedding from Kmart, I love the grid sheets! Great price, too. Target, of course, has a ton to select from... 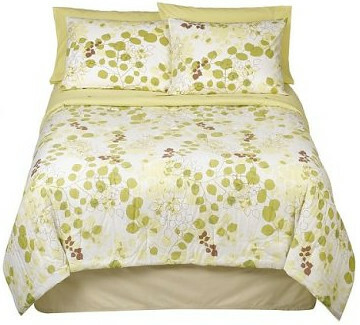 But I really like the Leaves comforter set. It's very soft on the eyes, restful, simple. Just ditch the bed skirt they're showing it with - not feelin' that. Droolworthy Kenya bedding from West Elm, it's so gorgeous. 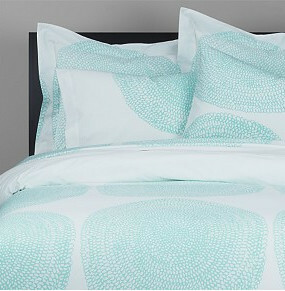 Punapippuri bed linens from Marimekko for CB2 in dreamy aqua. Area Four duvets at Design Public. I love the two tone clean simplicity of them and the crazy pattern mixing - fun! 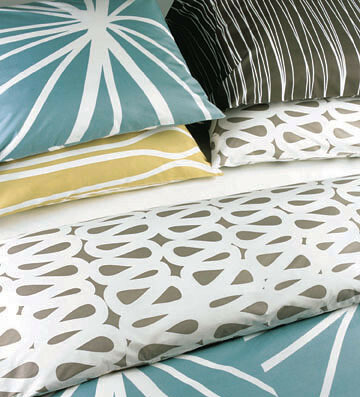 Dwell Silhouette bedding (duvet + sheets) on sale at Blue Fly, available in 4 color choices. I love it in chocolate and charcoal. Nautica Greenwich bedding from Linens 'n Things. Dressed up girly charm. Very Hollywood glam. I know I've missed so many... Anyone have great bedding sites in mind for college bound Kaitlin?